This recipe is a twist on my DIY Solid Shea Butter Sugar Scrub Cube Recipe. It’s perfect for those that prefer the detoxifying properties of dead sea salts. Or use Epsom salts to help relieve sore muscles. Weigh out your melt and pour soap base using a scale, then melt in the microwave or a double boiler. Weigh out your shea butter and melt in the same way. Stir the shea butter into the melt and pour soap base. Next, measure out your fractionated coconut oil or your choice of carrier oil and your fragrance if desired using a Tablespoon measurement and stir into the melted shea butter and soap base. In a separate bowl, weigh out the salts you’ll be using. If using a pigment for color, cut in a pinch of color using a butter knife or spatula. You’ll also cut in any herbs you’d like to use at this time as well. You can try anything from calendula petals to lavender. Finally, quickly pour the salt into the shea/soap mixture and mix well. Scoop into your mold and level with a spatula, then place in the refrigerator until solidified. Once your scrub has solidified, you can gently remove the scrubs from the molds by lifting them out of the mold with the plastic wrap from the top edges of the plastic wrap. Then remove the plastic wrap from the scrub. I then use a Chef’s knife to then cut the scrub into individual cubes. Place cubes in an airtight container until use and store in a cool, dry locataion. 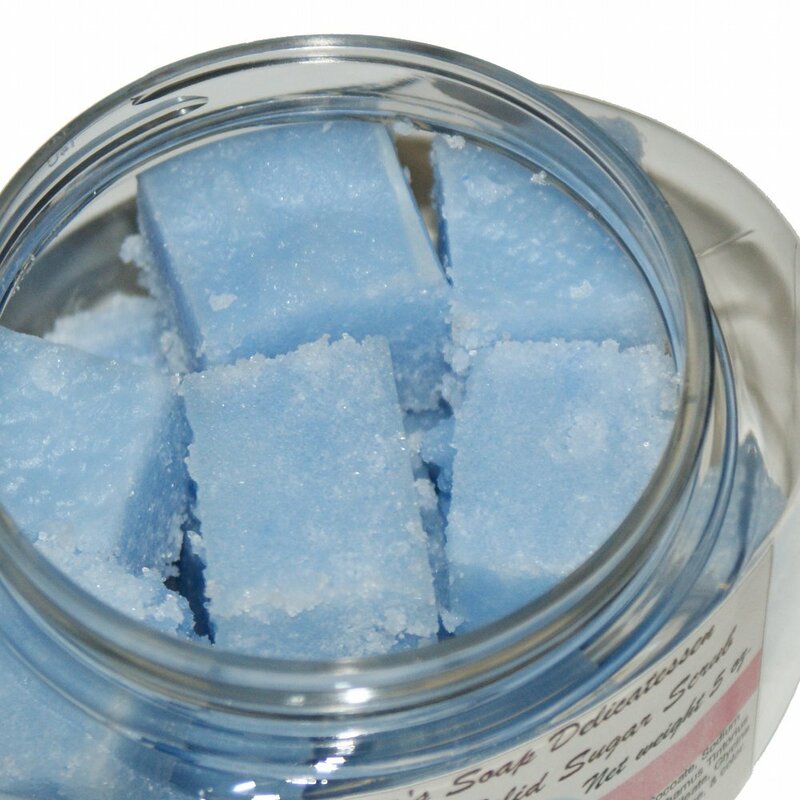 To use these salt scrub cubes, simply crush one or two cubes in your wet hands and slather over your body. For ingredients for this project I highly recommend purchasing your organic carrier oils, butters, herbs and essential oils from Mountain Rose Herbs. They specialize in quality controlled organic ingredients harvested using sustainable practices. 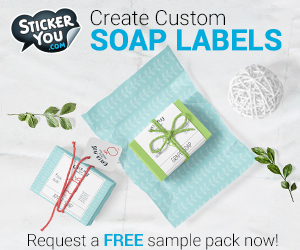 Want to skip the soap base? 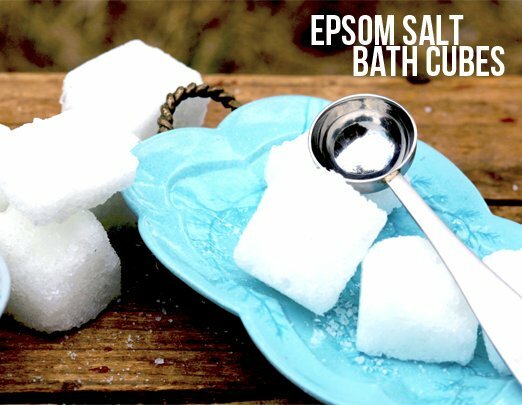 Then check out the DIY Epsom Salt Bath Cube Recipe from Pearl + Earl’s Good Time Vintage Blog. Substitute the water for natural organic shea butter – you’ll have to melt it first to mix in the salt – to make this recipe super skin conditioning while exfoliating! I was just reading about the benefits of epsom salts. I am definatly going to try this! Thanks for sharing. Thank you for mentioning our blog post!! It’s so awesome to come across people sharing and swapping recipes 🙂 P + E loves Soap Deli News!